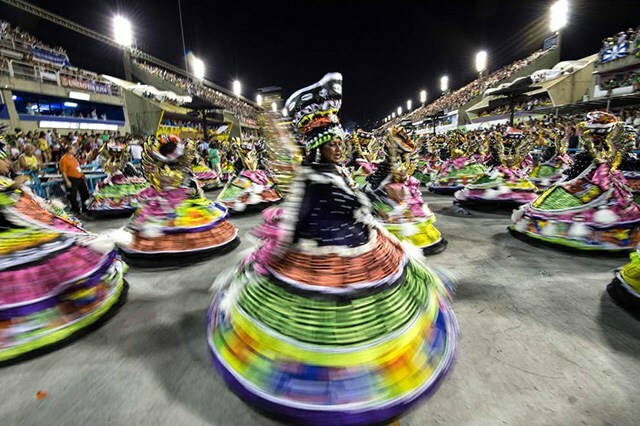 Carnival in Rio de Janeiro is arguably one of the largest parties on earth. From the parades to the music, Carnival is four straight days of non-stop celebrations from February 24-27. One very important part of the celebration is the blocos, which are free street parties that take place throughout the parade routes. Starting from 7 am, these celebrations continue through to the early hours of the following morning. Most of these parties are lighthearted, fun, and involve a heavy amount of drinking and dancing. Five hundred blocos will take place throughout the city in each neighborhood, so you’ll likely stumble upon one as you move about. 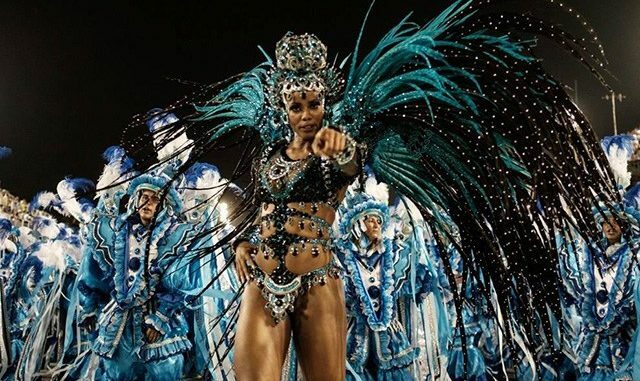 Samba bands will play, dancers will perform, drinks will flow, and you’ll have the time of your life.These parties are not something you want to miss if you’re heading to Rio for Carnival, you also won’t want to go unprepared. 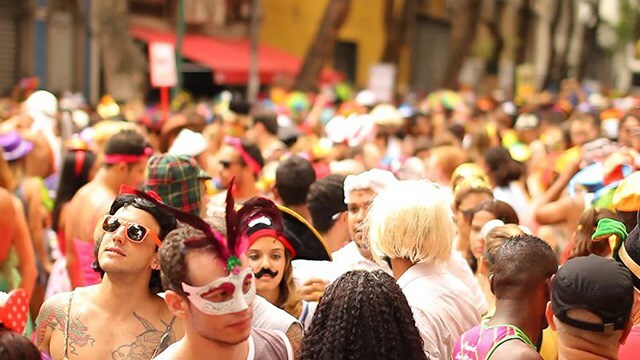 Before you head to these full-on fiestas, make sure you know what to expect. It’s smart to pick a bloco close to your hotel because you could be walking all day. Not to mention, some blocos are moving and others are stationary. So, choose accordingly. A small bloco will have under 2000 partiers, and those are the best options for taking it easy or finding that special someone in the crowd. The larger the bloco, the crazier the party. The largest parties happen in the center of the city. When in doubt about which blocos to attend, ask a local. Dressing up is optional, but highly encouraged. You want to get into the celebratory spirit. At the very least, throw on a wig or some face paint. 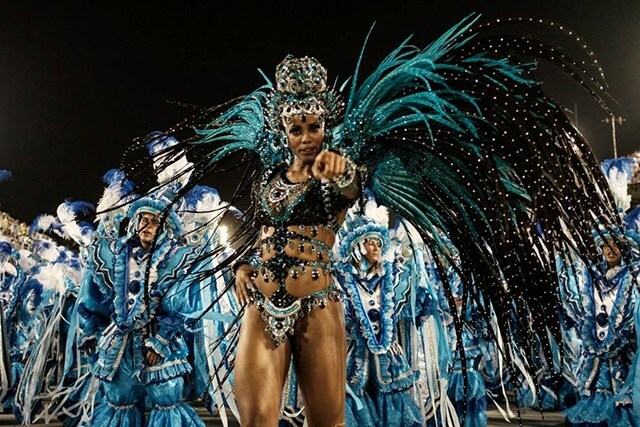 But if you really want to get into the Carnival spirit, come in full drag, colorful costumes, or even something homemade. The better your costume, the more friends you’ll make and the more fun you’ll have. Expect lots of people, dancing, alcohol, and music. The smallest blocos are about 2,000 people, so let go of the idea of personal space. If you come without a costume, be prepared to the outcast because people go all out for this event. The music will go from about 8am to 9pm, so try to show up at the peak of the party in the late afternoon or early evening to enjoy it fully. Avoid drinking any cocktails sold on the streets as you won’t be able to verify the contents. Bring your own booze (in a plastic bottle) or stick to the pre-packaged beverages, like beer. Avoid public transportation at all costs. Between the crowds, the block-off roads, and the chaos, it will take you far too long to drive anywhere. Find a bloco close to your lodging and walk there. Carnival is a peak crime time of year given the number of tourists that come to the city and the increased level of intoxication. Leave any unnecessary valuables at home and always try to be modestly aware of your surroundings. City rules are temporarily suspended for these celebrations, so make the most of it and party to your heart’s content. It may be the only time in your life when you’ll get to experience this level of fun.